Toxic plants can cause a variety of problems in livestock. There are families of plants found in Northwest Florida that can cause kidney failure if eaten in sufficient quantities. Plants that contain oxalates and tannins are the usual suspects when kidney failure occurs. 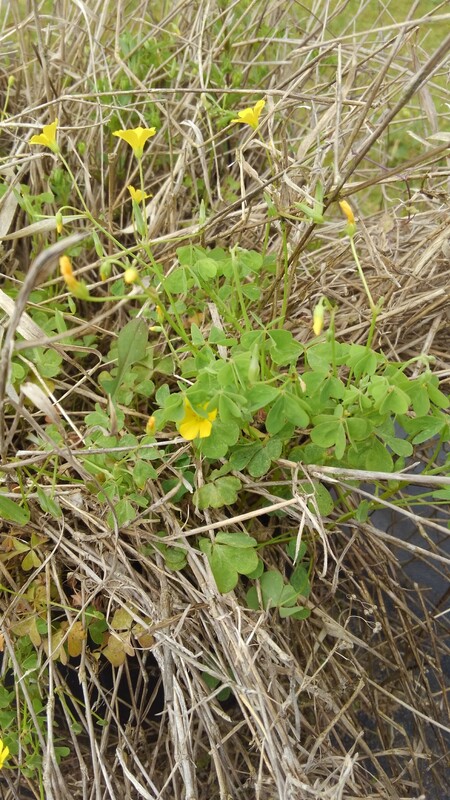 Plants that contain oxalates in our area include Yellow Woodsorrel (Oxalis stricta), Purslane (Portulaca oleracea), Pigweed (Amaranthus retroflexus), and Curly Dock (Rumex crispus). The principle suspect in tannin toxicity is oak trees with all parts (leaves, bark and acorns) being toxic when consumed in large amounts. After consumption and absorption into the bloodstream, oxalates combine with calcium and magnesium. This leads to a decrease in available calcium and impairs normal cell membrane functions. Animals develop muscle tremors and weakness then collapse and eventually die. If animals survive this acute poisoning stage, death results from kidney failure due to severe damage caused by insoluble calcium oxalates being filtered by the kidneys. Tannins in oak trees cause severe lesions in the digestive tract and kidneys. Some ruminants can tolerate tannins better than others. This is due to the presence of specific rumen flora (microorganisms) which detoxify the tannins. Some goats and wild ruminants also have a compound in their saliva that neutralizes tannins. New growth and green acorns are more toxic than older growth and ripe acorns. Affected animals first stop eating and display signs of abdominal pain. They drink excessively and their feces turns black and tarry. They eventually develop jaundice and have red-colored urine and usually die within 5-7 days of symptom onset. If you suspect oxalate or tannin toxicity in your animals, your first step is to call your vet. They can diagnose the problem and give the correct supportive care. Next, you may want to contact your local extension agent to help you identify toxic weeds in your pasture ,and recommend control measures to remove them. To help identify more common poisonous pasture plants, you can purchase the Poisonous Pasture Plants of Florida pocket-sized laminated card deck, which identifies 31 of Florida’s most common toxic pasture weeds.